Our Honda award winning trained technicians are set up in a “pit crew” approach, to ensure your vehicle receives quick and accurate service. At Wesley Chapel Honda we are the only Honda dealership in the district who has been awarded the Express Elite Service certification through Honda. Wesley Chapel Honda has also been a member of Honda council of Parts and Service Professionals for 2016 and 2017. Your time is valuable. So when your Honda needs maintenance or minor repairs, don’t let it slow you down. Honda Express Maintenance offers everything you need to keep you moving. All from the one place you trust to do it right — Wesley Chapel Honda. 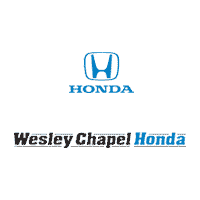 If you live or work in the Wesley Chapel area you can rest assured that servicing your vehicle at Wesley Chapel Honda will provide you with excellent service as well as convenient appointment times to get you in and out as fast as possible. Contact us today to schedule your next Honda maintenance service visit. Engine oil is the single-most vital fluid for your Honda’s well-being because it reduces friction between moving parts and helps remove heat from the engine. The correct oil for your vehicle is marked on your vehicle’s oil cap or noted in your Owner’s Manual. If your vehicle requires an oil change, it will be drained and refilled, and your oil filter will be replaced with a Genuine Honda oil filter. Your maintenance minder indictor light will also be reset at this time. Your maintenance schedule includes the proper engine oil and recommended replacement intervals. As far as safety systems go, your Honda’s brake system is one of the most important. The Multipoint Inspection performed on your Honda will include a brake inspection. This will help to ensure that your brake pad thickness is still at a safe braking level. Tires play an important role in your vehicle’s handling, performance and driving comfort and can also have an impact on your Honda’s fuel efficiency. So make sure to keep your tires properly inflated and use tires that match your Honda vehicle’s specification. Tire manufacturers recommend that tires be rotated every 5,000 miles. Tire rotation is important for even tread wear and long life. When performed at the recommended times, it helps ensure that the tires wear evenly and prolong the useful life of the tires. After rotating your tires, the technician will also reset the Tire Pressure Monitoring System (TPMS) light. This system is designed to detect a change in tire pressure. Regular maintenance is essential to obtaining the highest level of performance, safety and reliability from your Honda. It can also increase your vehicle’s resale value. With proper maintenance and care, your vehicle will last longer and deliver more dependable, economical performance. In addition to scheduled maintenance, your vehicle requires ongoing general maintenance such as fluid checks and visual inspection. Following the manufacturer’s recommendations will allow you to enjoy maximum reliability and peace of mind from your Honda for many years to come.